In San Miguel County, there’s the West End, where you’ll find rural communities like Norwood, surrounded by swaths of agricultural land and where local food production is seeing a resurgence. On the other end of the county, you have the resort communities of Telluride and Mountain Village, where movie stars come to play but the working class is rich only in spirit and adventure. As different as these communities all nestled within San Miguel County may be, they rely on each other’s strengths. For several years now, Michelle Haynes, who is the town of Mountain Village’s planning and development director, has envisioned a program that would mutually benefit local food producers as well as those who may not always be able to afford farmers’ market prices. Haynes began working on a program that would not only support regional agriculture and provide fresh local food to those on a tight budget, but that would also create an important regional bridge between communities within San Miguel County. The result? An income qualified farm-to-community incentive program. The Mountain Village Town Council approved the program in April. The program puts income-qualified individuals and families at the centerpiece of the model, subsidizing farm shares based on income, and distributing them at convenient location. In this case, it’s the Mountain Village Farmers’ Market each Wednesday. Participating members can purchase farm “shares” for the entire growing season, about nine weeks. This year’s program can support a crop of up to 45 Mountain Village residents who meet the annual household income qualifications can apply to the program and eligibility is on a first-come, first-served basis. Here’s the best part: The town of Mountain Village has agreed to foot the bill, to the tune of $20,000. There is a nominal application fee. For participants, it means affordable, healthy, fresh local food. And for the producers, it translates to a significant, consistent revenue source. 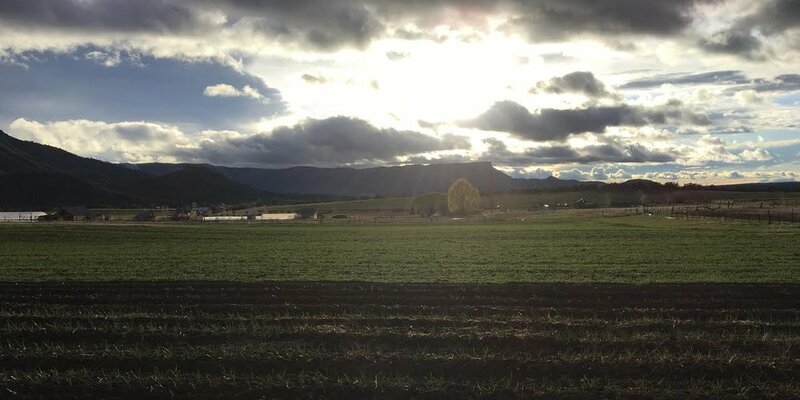 The participating partners include Mountain Roots Produce based in Mancos and the Fresh Food Hub, a community-run co-op based in Norwood that purchases food from local and regional farms and producers. On a recent afternoon in Norwood, shoppers were in and out of the Main Street headquarters of the Fresh Food Hub. Sam Andrews, who serves on the board of the coop and elaborates on what people might soon find in their food shares for the Mountain Village program. It’s no mystery that energy dense junk foods pack more calories and fewer nutrients per gram, and are far less expensive than nutrient rich, lower-calorie foods like fruits and vegetables. For many lower-income people, it’s not the food pyramid that takes priority, but rather household economics. That’s Mindy Perkovich with Mountain Roots, a vegetable farm that spans about 12 acres and is located in the Mancos Valley just to the east of Mesa Verde National Park. She says the program not only provides a consistent revenue stream, but it allows Mountain Roots to potentially reach a whole new demographic of people. Beyond the obvious benefits of the program, there are a few trickle-down bonus points. Food travels a long distance before it’s shelved at markets in Mountain Village and Telluride. Supporting local agriculture on this scale reduces the distance food is transported and incrementally lowers carbon emissions. A 2010 report issued by the American Farmland Trust estimates an acre of U.S. farmland goes into development every two minutes. Haynes says if there were more community food programs that supported local producers, it might help alleviate the complex issue of shrinking farms and disappearing farmland. Thus far, the town of Mountain Village has received 10 applications for the program, which begins in June. And while Haynes didn’t model the program after one in another community, she hopes other communities copy this one.